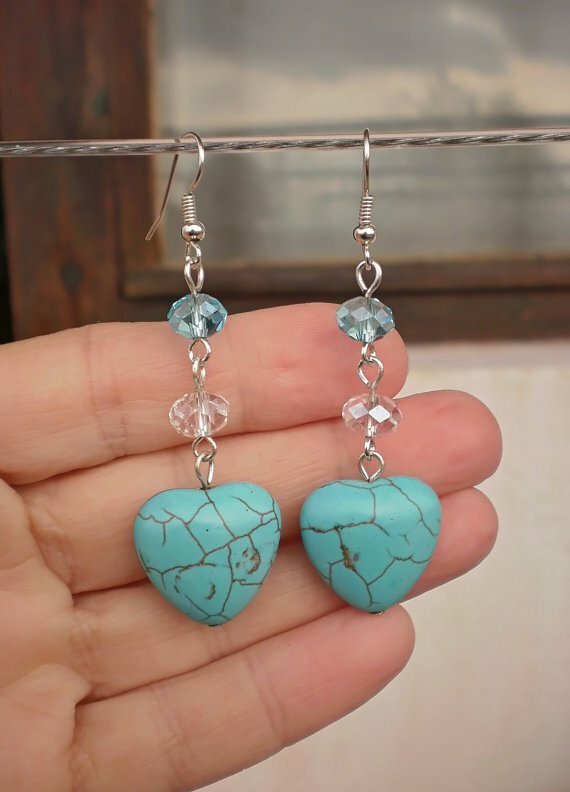 Jewelry type: Designer Handcrafted Earrings with beautiful faceted Crystal Beads and Turquoise stone. → Your earrings will come to you beautifully presented in a paper jewelry box. Returns: If the item(s) you ordered do not meet your needs or expectations, please notify us immediately and you may return them within 7 days for a refund. Each item must be returned in its original condition and in its original packaging (plastic bag, box or other packaging). PLEASE NOTE THAT ITEMS THAT DO NOT HAVE THEIR ORIGINAL PACKAGING CANNOT BE RETURNED, SO PLEASE BE CERTAIN THAT YOU WANT TO KEEP YOUR ITEM BEFORE THE TAGS AND /OR PACKAGING IS DISCARDED. You will be refunded for the full amount of the item price; shipping and insurance costs are non-refundable.